Morning Delivery by Jeff Pittman - 10.000" x 7.500"
Morning Delivery framed print by Jeff Pittman. Bring your print to life with hundreds of different frame and mat combinations. Our framed prints are assembled, packaged, and shipped by our expert framing staff and delivered "ready to hang" with pre-attached hanging wire, mounting hooks, and nails. There are no comments for Morning Delivery. Click here to post the first comment. Deliver truck at the Oriental Steamer one spring morning in the sailing village of Oriental North Carolina on the Neuse River. 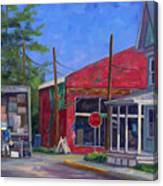 Artist Jeff Pittman resides in the beautiful mountains of Western North Carolina near Asheville. 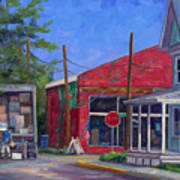 He has taken the artistic impressions he learned early on and applied them to mountainscapes, seascapes, and Cityscapes. 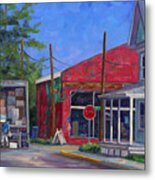 He uses oils and acrylics to capture the essence of any particular scene, be it a majestic mountain view from the Blue Ridge Parkway, afternoon light reflecting from the buildings of an urban skyline, or the pristine waters of the Carolina crystal coast.